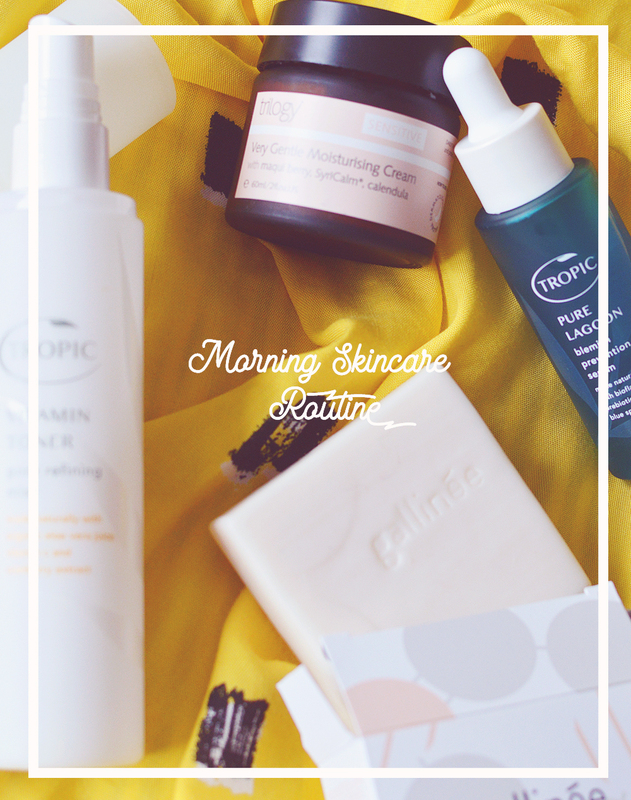 I had no idea what to expect when first trying out Get Up & Glow, was it a moisturiser? a serum? a primer? Well, it turns out it's all three so that's handy. 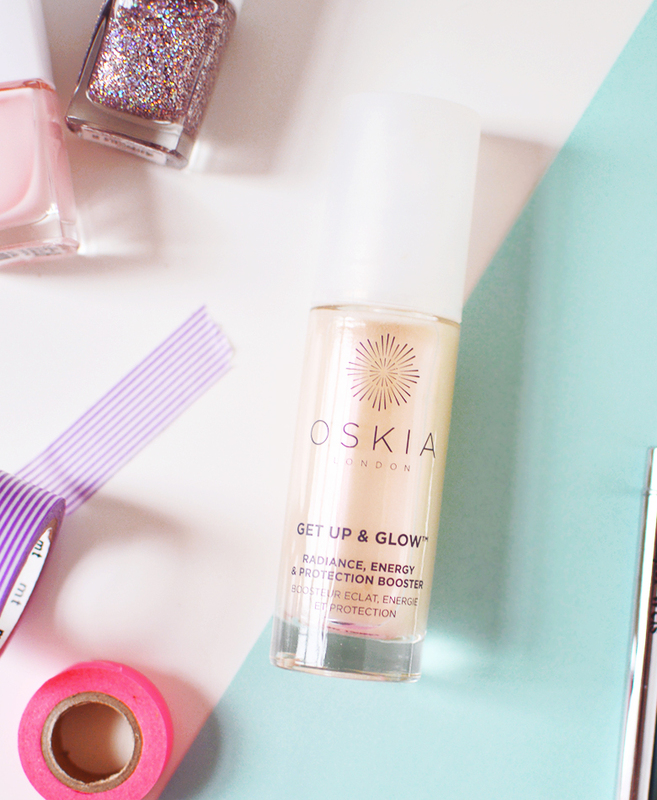 This 'Radiance, Energy & Protection Booster' from Oskia is a high-tech glow-giving moisturising serum. Oskias' unique selling point is their use of MSM in their formulas. MSM or Methyl Sulphonyl Methane (I wrote a whole post about my experience taking msm as a supplement here) is the main ingredient in this silky feeling serum, applied topically it's supposed to aid in collagen production to keep skin strong, supple and porous. Along with MSM there's hyaluronic acid, milk peptides and probiotics to energize, tone and protect. I only use this on days when I'm wearing makeup, as I've discovered my makeup sits so well on top, the pinky-purple shimmer isn't detectable with foundation over the top, but I totally notice a difference when I use it. My foundation doesn't flake around any dry patches for significantly longer than without it, and my skin looks smoother somehow, even without silicones. To use I simply mix one pump with my usual hydrating serum and oil combo and mix them all together with my fingertips before massaging into skin. If I'm wearing makeup I'm usually being rushed to get ready by Michael, so I don't have time for layers of carefully applied skincare, ha! You can also use this over makeup to add a little glow, just pat into skin along cheekbones, down your nose, etc for instant radiance. My one bugbear is that this does contain phenoxyethanol and I have had a negative reaction to this ingredient recently. I was using both a hydrating serum that contained phenoxyethanol and then this as a moisturiser on top (or mixed together), without realising I was getting a double dose, so it was no wonder my perioral dermatitis was seriously freaking out. I've since stopped using the serum all together and because I now only apply this when I wear makeup I'm okay using it without my skin having a meltdown. I hope that didn't put you off, this is an absolutely lovely product, but I wanted to be honest about my experience especially for fellow PD sufferers. Read the ingredients, know what's going on your skin and always be an educated consumer *sassy girl emoji*. You can order Get Up & Glow directly from Oskia (get £10 off of your first order with an email sign up!) Cult Beauty, or try a sample first from Content Beauty or Naturisimo. CARAMEL, MICA, CI 77891 (TITANIUM DIOXIDE), CI 77491 (IRON OXIDE), CI 75470 (CARMINE), SILICA].